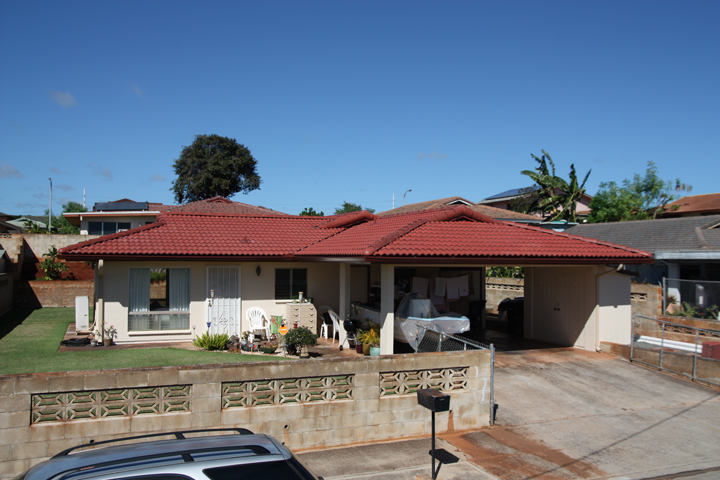 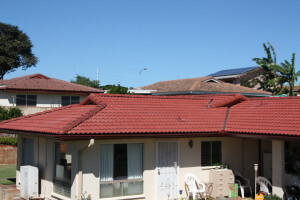 Boral – Villa – Mission Red | West Oahu Roofing Inc. 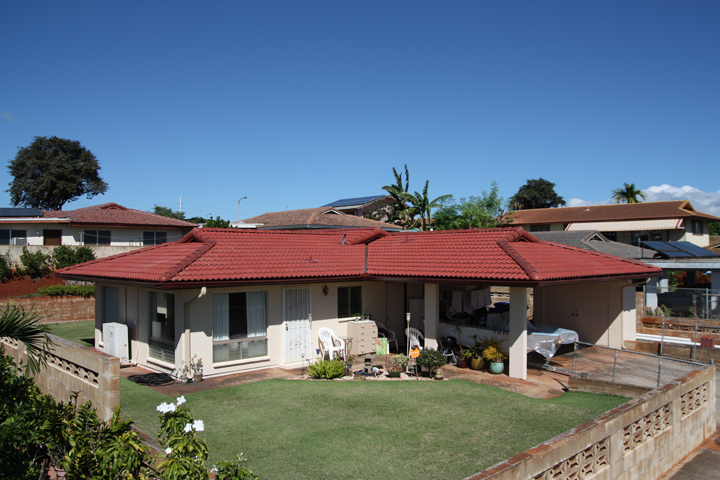 This project was a replacement of an existing Monier Roma Tile. The existing roofing was removed and plywood was installed over the rafters. Boral Tile Seal was used as the primary underlayment and the new Boral Villa Tiles were installed. 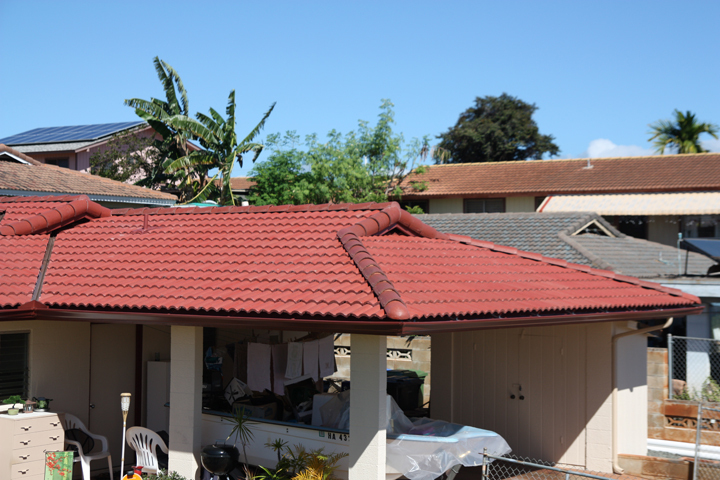 The customer expressed that he did not like how the mortar on the hips and ridges looked over time so we installed a mortarless, mechanically fastened hip and ridge system.